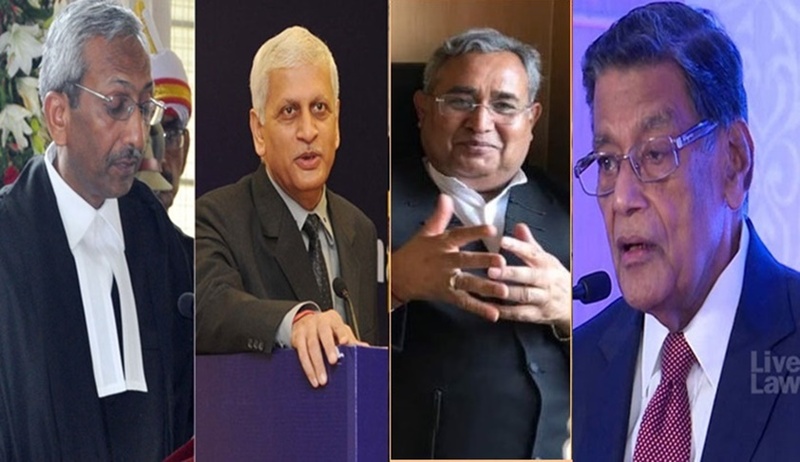 The Supreme Court bench of Justice Adarsh Kumar Goel and Justice U. U. Lalit, on the order of Chief Justice Dipak Misra, afforded an urgent hearing on the Centre’s Review Petition in its recent judgment in Dr. Subhash Kashinath Mahajan v. State of Maharashtra at 2 PM on Tuesday. The bench, however, refused to grant an immediate stay on the operation of the judgment, clarifying that compensation under the Scheduled Castes and Scheduled Tribes (Prevention of Atrocities) Act of 1989 may be paid to the victim immediately, even pending the Registration of the FIR. Thereupon, he indicated the All India data on crimes against the Scheduled Castes and the Scheduled Tribes under the Act of 1989, the IPC and the Protection of Civil Rights Act of 1955. “Please take a look at the number and nature of the crimes...”, he sought to submit. “The judgment has mentioned a specific period of one week for the preliminary inquiry in respect of offences under the Atrocities Act. In other cases (cases under the IPC, Act of 1955 and other criminal laws), it may even be 15 minutes or 1 hour...”, remarked the bench. “We are not against any complainant or the Act (of 1989)...the judgment only ensures that no one is deprived of their rights and that there is no terror for the innocent...under the Act of 1989, there is no forum or provision of any pre-arrest scrutiny...if there is an apprehension, there should be no difficulty in verifying before putting a person behind the bars...”, continued the bench. “But so far as this class of persons (SC and ST) is concerned, the special law has been enacted because they have been subjected to tremendous prejudice...the number of innocent persons (who are falsely implicated) is very small as compared to the actual cases”, intervened the AG. “The Act of 1989 does not say that innocent persons may be implicated falsely...the judgment also does not say this...there is no conflict between the two...the Fundamental Right of an innocent individual cannot be taken away without reasonable proof and valid proceedings”, affirmed the bench. When the AG expressed concerns regarding the impugned judgment in so far as it requires prior sanction as a prerequisite for the arrest of a public servant as well as any other individual, the bench responded, “Article 21 has to be read into every aspect of the Act of 1989...there have been many cases of harassment for abuse of police power and power to arrest...arrest is not mandatory under the Atrocities Act...besides, provisions of section 41 of the Cr. P. C. (regarding ‘credible information’ and ‘reasonable suspicion’ also apply to arrests under the Atrocities Act...”. “But Article 21 permits one to deprived of their personal liberty in accordance with the procedure established by the law...”, the AG sought to submit. “We are not saying that the accused should be discharged or acquitted or not punished...we are not diluting the Atrocities Act...we are only reiterating the settled law of arrest under the Cr. P. C...”, replied the bench. “This may be fine for in the course of the trial, but not before the proceedings have even commenced...nowhere does the Cr. P. C. require the prior approval of the SSP for arrest...what the judgment has laid down in respect of the SC and ST does not apply to identical circumstances of abuse of power in criminal prosecution in respect of the general population...”, advanced the AG. Finally, he sought to hand over a judgment wherein it was held that an interim order may be passed even pending the final disposal of a review petition but was interrupted by the counsel for several intervenors. The bench on Tuesday permitted only parties to the main appeal to file written submissions, directing that the fresh interventions shall be entertained only thereafter. “Not a single provision of the SC-ST Act has been compromised (by the impugned judgment)...there is no impact on the compensation payable, the trial or the punishment...our argument was that section 18 of the Act of 1989 is ultra vires, but even the said section was not struck down...only the power of arbitrary arrest has been curtailed by guidelines...Articles 14 and 21 have to be read into every statute...every authority, even private citizens have to respect the same...”, he continued. “Besides, considering that the procedural law is the Cr. P. C., the provisions (of the directions in the impugned judgment) already exist...there is section 36 of the Cr. P. C. dealing with powers of superior officers of police...section 197 mandating previous sanction of the government for prosecution of public servants...there is also section 41”, elaborated Mr. Sharan. “Some filter was needed...and when we said ‘abuse’, we did not mean abuse by the persons belonging to the SC/ST classes; we meant abuse by the police or some private individual for some vested interest...”, clarified the bench. Finally, the bench reiterated, “the string of directions issued in the impugned judgment would not adversely affect the payment of compensation under the existing statutory framework. Further, in case of offences under substantive laws other than the Act of 1989, such as murder, there may be no preliminary inquiry and the FIR must be registered immediately”. (i) There shall be no absolute bar against the grant of anticipatory bail in cases under the Atrocities Act if no prima facie case is made out or where on judicial scrutiny the complaint is found to be prima facie malafide. It had approved the view taken and approach of the Gujarat High Court in Pankaj D Suthar (1992) and Dr. N.T. Desai (1997) and clarified the judgments of the apex Court in Balothia (1995) and Manju Devi (2017). It may be noted that section 18 of the Atrocities Act restricts the application of section 438 of the Cr. P. C. in case of an offence committed under the Act of 1989. (ii) In view of acknowledged abuse of law of arrest in cases under the Atrocities Act, arrest of a public servant can only be after approval of the appointing authority and of a non-public servant after approval by the S.S.P. which may be granted in appropriate cases if considered necessary for reasons recorded. Such reasons must be scrutinized by the Magistrate for permitting further detention. (iii) To avoid false implication of an innocent, a preliminary enquiry may be conducted by the DSP concerned to nd out whether the allegations make out a case under the Atrocities Act and that the allegations are not frivolous or motivated. The bench had relied on the Supreme Court judgements in Lalita Kumari v. State of UP (2014), State of UP v. Bhagwant Kishore Joshi (1964) and Sirajuddin v. State of Madras (1970). (iv) Any violation of the second and third directions will be actionable by way of disciplinary action as well as contempt. The matter is scheduled for further hearing after ten days.